Koy Detmer has personally hand signed this Colorado Buffaloes 8x10 photo. Each autographed photo includes an individually numbered TRISTAR Authentic hologram. 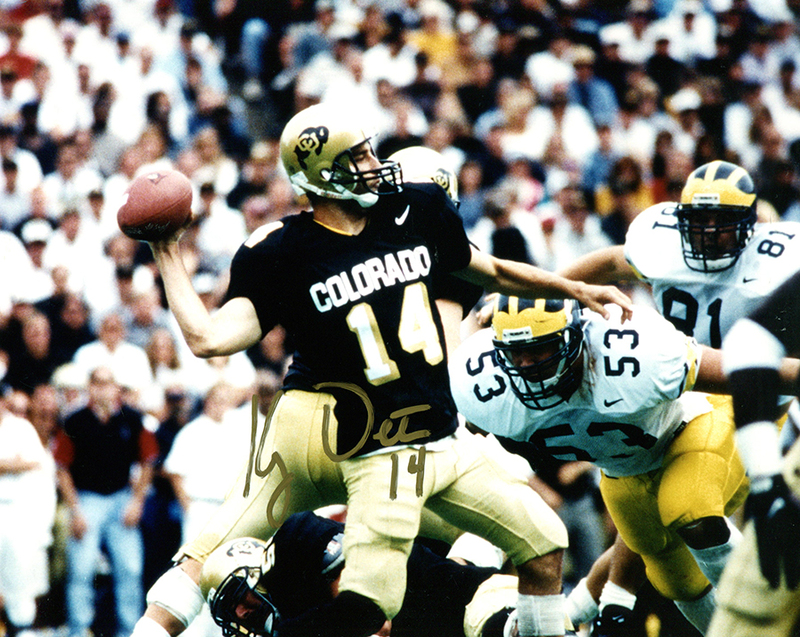 Koy Detmer, younger brother of NFL quarterback Ty Detmer, was the star quarterback at the University of Colorado. He completed his college career with 5,390 passing yards, and set a school record in passing for 40 touchdowns. He was drafted in 1997 by the Philadelphia Eagles.